Arrma Raider XL BLX 1/8 Buggy « Big Squid RC – RC Car and Truck News, Reviews, Videos, and More! Everyone knows we have been ARRMA fans since their beginning. 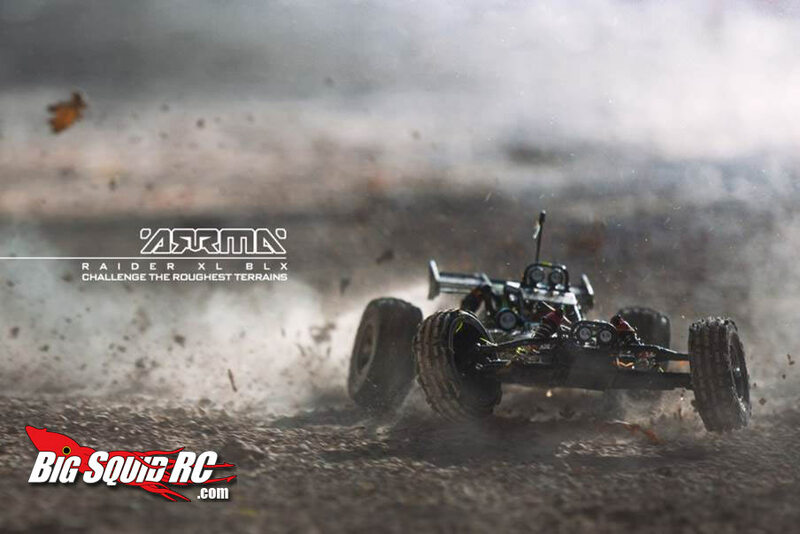 Well we just got word, and a few pictures that ARRMA is releasing a 1/8 scale buggy! 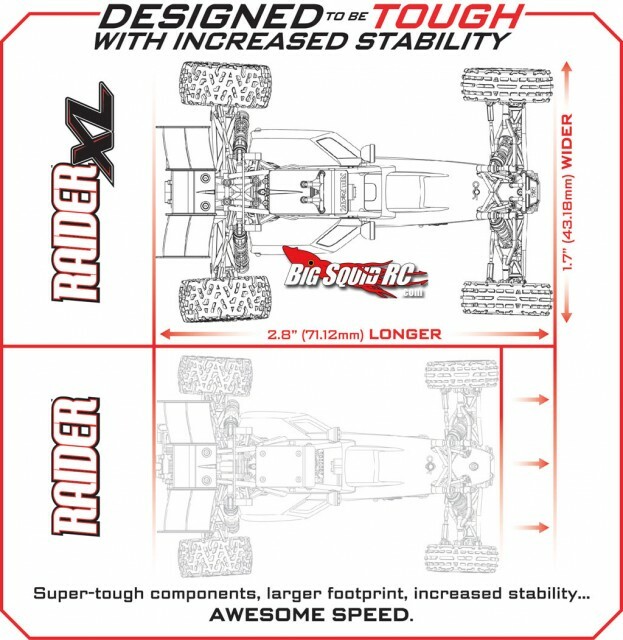 They are taking the popular RAIDER BLX and making an XL version, officially called the ARRMA Raider XL BLX. It’s going to be 2.8″ longer and 1.7″ wider than the original Raider. We don’t have many other details yet, but as soon as we do, we will relay the information. Below is a comparison image we were sent. Click for full size. There isn’t any official info yet on the ARRMA Website, but check back soon. Hit This Link for more ARRMA news on Big Squid RC.